Give your skin the royal treatment with a natural facial serum that provides natural anti-aging and healing benefits in addition to natural SPF. Raspberry seed and argan oils, plus coriander and frankincense provide healing benefits and can unclog pores and clear acne. Rejuvenate Me! 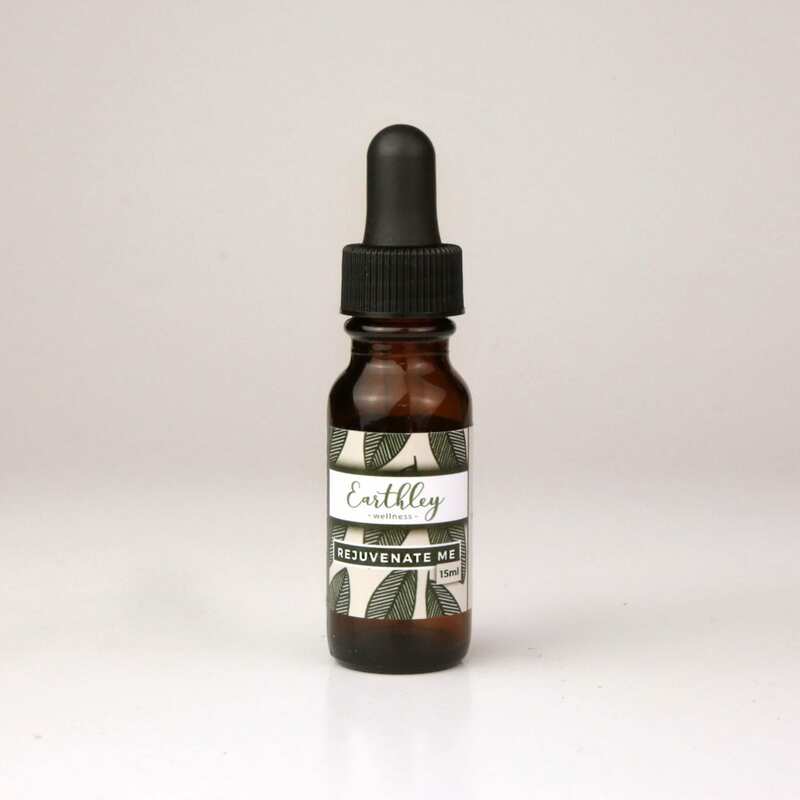 Our natural facial serum is the final step in Earthley’s awesome, completely natural skin care system. When your skin just needs a little extra boost, this is what you need! It’s a combination of highly-sought-after oils that will gently heal fine lines, wrinkles, redness, acne, dry patches, and more! It also has a natural SPF. Raspberry seed and argan oils penetrate deeply into your skin, nourishing on multiple levels. Both are completely non-comedogenic and won’t clog pores. They’re also excellent for acne-prone skin.Coriander and frankincense essential oils help to fight acne, redness, uneven skin tone, and more. It’s a simple serum, with completely natural, no-compromise ingredients. This makes Earhtley’s skin care the cleanest, purest products available — and extremely potent and effective, too! Enjoy the youngest, healthiest skin you’ve ever had. Choose one of our sets to save money and try the whole system together! Learn more about the benefits of oil in natural skin care! Spread 2-4 drops of our all natural facial serum on your face after cleansing and moisturizing. A little goes a long way! Shelf Life: 1 year. For external use only. Got this product not long ago and have used it for 3 days now. My skin is extremely soft now from using this product. I will definitely be buying more of this stuff. I use 1 drop and it is perfect. Not overly oily and lasts such a long time! I estimate i will get 8 months from the sample size and i use it 3-5 times per week. I really liked the way this made my skin look and feel. You use very little so it lasts quite a while. I will be ordering more as soon as I’m out. I love this. I use it every night along with the rest of the Skin Basics set and I can totally tell the difference in the morning. You only need a few drops of it – it spreads around very easily. It looks like it will be oily, but it’s not. I love this! I use it as my daily moisturizer, you use very little but it goes a long way. Even for someone like me which fairly oily skin it doesnt leave me feeling oily. Bonus because it smells great! Love how little goes a long way, quick results-improved complexion and dryness. Pure organic ingredients in skin care is a must! Love it for winter time! Hope it keeps me looking young! I purchased this to try and even out some very uneven skin tone, partially from pregnancy doing a number on my hormones and partially from rosacea. It works so well to soothe and calm the skin. It made my skin so soft, I was walking around the house asking people to feel my face. Now, everyone in my family uses it! My husband must shave every day for work and it leaves his poor face very red by midweek, raw by Friday. It has barely enough time to heal before the work week starts again. Using this after shaving each day has helped it heal and kept it healthy to the week’s end. I also use it on the dry rosy cheeks of my kiddos. Wintertime and hard water do a number on all our skin. It absorbs quickly so you are left with soft skin, not oily at all. I was concerned at first for the scent. Strong smells are a migraine inducer for me. It was quite nice and dissipated quickly. Who would have thought that I’d be applying oil directly to my acne prone face and it’d look all the better for it! My face just loves this. Especially in the winter months when my normally oily skin turns dry. I got this as part of the 3 step skin care process and I love it all! You only need a drop or two and it makes your skin feel amazing. Not oily, which is a huge plus! As part of the skin care set, this is probably my favorite part. I use it on my dry t section and it softens and hydrates it well. It feels great and leaves my skin soft and smooth. I got this more as a preventative measure for my aging skin, not to correct any specific problem areas. Seriously, just 1-2 drops sufficiently covers my entire face, and some of my neck. I am prone to acne, but this has not caused any problems. Very nice, like it alone or by mixing a few drops in with another natural facial cream. I love the use or argan oil and rosehip seed oil, these are awesome natural ingredients for skin care, I think. I used to use store bought moisturizer all the time, but this is so much lighter. Also, there are way fewer ingredients. I’ve used this for a little while, but the Moisturizer for dry skin seems to be doing a good job on it’s own, and this is just a little bit pricey for me. Even though it says to use a few drops, that never seems to be enough for full coverage. I just started using it, but it makes skin feel very nice! This is my new favorite face serum! My skin glows after applying it. Sometimes, I don’t have to wear any foundation! It is silky smooth and super moisturizing. This is a fantastic serum – it works wonders on my dry, winter skin, and lasts a long time as you only need a couple drops! I’m really excited to see the combo of argan oil and rosehip seed oil. I think my skin may be more absorbent but it takes 5 drops for full face coverage on me…one on my forehead, nose, chin and each cheek and I can spread that just about everywhere on my face unless I’m really dry sometimes I even need a couple drops on my forehead or chin. I feel I can use it around my eyes really well on some of that delicate skin. It looks oily but absorbs fast and my face feels great the entire next day after I shower and finish my 4 step skin care routine off with this. I’m prone to breakouts and have had none using their charcoal bar, toner, oily moisturizer and this each evening. Just feels naturally nourishing with nothing but the good quality stuff and without causing breakouts or clogging pores. Made my face break out. I use around 2-3 drops to cover my face and neck. I love the way it smells and I notice after a month of using it after I shower, my skin is softer and I’ve had less break outs. No more “winter face” for me! Unbelievable stuff. I use it year-round, and it’s definitely smoothed many of my fine lines. Worth every penny. This feels so light and fresh, and it smells nice. Really enjoying this! My skin soaks it up instantly and I feel like my moisturize me goes on even better after using this! Bought this because of winter dryness, and was super excited to try it. So far, we’ve loved earthley products. Unfortunately, my skin was too sensitive and I reacted to this immediately upon contact (and I rubbed it all over my face!) Eeek! Got it off as quick as I could, finally using dish soap. I have used all of the oils inside it before, except raspberry oil and coriander oil — so perhaps it was one of those that I reacted to. Sad day. The best oil-based facial serum I have used. Meets all my requirements: lasts a long time, non-toxic and clean, no coconit oil, very little needed, no oil residue, effective. Earthley is my top cosmetics brand at the moment!